If we're taught anything about money, we're taught that it's a math problem. That money equals spreadsheets and calculators. It's rational. That 2 plus 2 always equals 4 no matter how scared, or excited we are. As a result we expect our relationship with money, and our conversations about it, to be rational. But expecting our relationship with money to be rational is like walking into an electric fence and expecting it not to shock us. It leaves us feeling repeatedly unmoored by the fact that we are having feelings about something that is supposed to fit in a spreadsheet. Much better to expect it to be emotional, because as much as money acts as a store of value, it is also a store...of stories. Stories about our fears and dreams. Stories about our worries for the future, and our hopes for the people we love. It's especially important to remember this when talking with someone you love about money. It makes it easier (not easy) if we go into the conversation expecting it to be emotional. Even expecting it to be irrational. At least you won't be surprised. 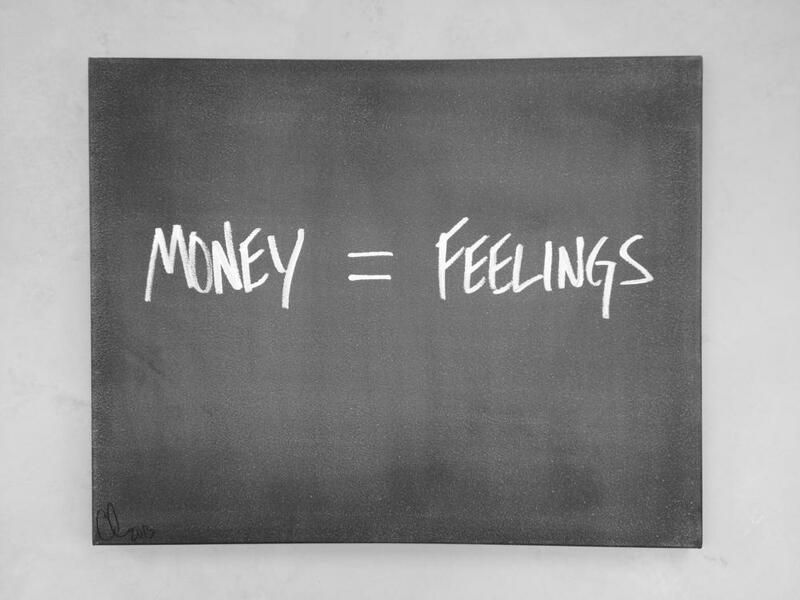 Because remember, money equals feelings! Reproduced with permission from Carl Richards, the creator of the Sketch Guy column in the New York Times.